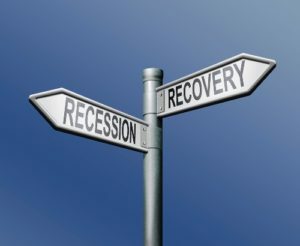 Question:“How is this strategy recession or crash proof? (For us especially! [Investors doing other strategies]). Excellent question! And one very close to our heart because THIS strategy is what saved us from biting the dust completely when our portfolio of 30+ homes lost half its value seeming overnight during the 2007/2008 crash….all funded by short-term hard money and/or private money. And we see that you were on your way to answering your own question 😊. Lots of ways to adjust things on the technical side but the simplest way is to keep the contracts in play until the property does appraise or at least get to a value that the owner is willing/able to let it go. 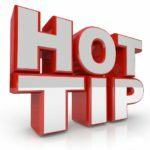 That way the Option Fee down payment on the TB’s side is still in play and will apply towards the Option Price later, nothing lost. This strategy definitely can help owners and TBs ride out any market crash. Yes, we are technically “out of it” after placement, but in the event of a severe market crash like you describe above, we imagine we’d be getting “what do we do calls” from the owners and of course we would help them with whatever addendums to extend things or rewrites of contracts. To further discuss the “crash proof”-ness of this strategy…guess what we were NOT doing during the crash that we were doing full time beforehand? : wholesaling junkers and fix & flip rehabbing. Funding didn’t just dry up for us…it dried up for our buyers, too. And our self-funded buyers were hunkering down, working to save their current investments…many of which applied our strategy to preserve their portfolio. And finally…people still need a place to live whether the market is crashing or thriving. The need for a roof over our heads is a demand that never goes away. And no matter what’s going on, there are always folks who would prefer their monthly rent “going towards something” vs just renting with no hopes of it ever counting for anything in the future. We see it being a VERY SMART move to get this strategy in play today BEFORE any crash or dip versus being forced into it because the crash is upon us and other strategies are significantly stalled. Regular sellers, investors and ALL the private & hard money lenders that funded real estate deals will be looking for a solution. Having the solution already in operation, or at the very least setup and ready to go, will certainly put you on the leading edge ahead of everyone else. We have been doing this strategy exclusively since 2009. Regardless of what’s going on in our market, we have found the leads on BOTH sides of this strategy to be ABUNDANT! We love sharing all the sources along with things we’ve learned over YEARS of doing these deals ourselves both in our Link Options Course Training and in our Closed Link Options Coaching Facebook group. We’ve done all the other strategies and developed a true Win-Win solution for a solid real estate business. 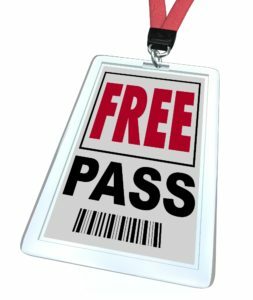 Want a FREE 3-Week Guest Pass to our Closed Link Options Facebook Group and Live Q&A Coaching Calls that we do twice every month? Send us an email at info@keithandshannonfrench and we’ll get you INSTANT access to check things out! 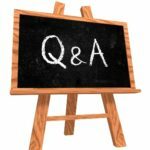 ← Q&A: In Starting a Link Options Business, what are average numbers for deals and business expenses?